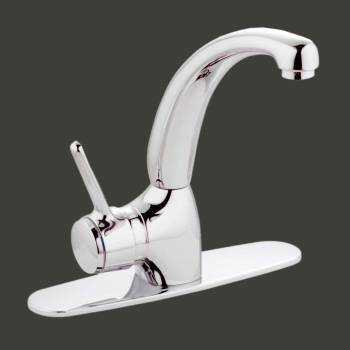 Has a reversible, left or right side chrome lever handle? Has the convenience of a swivel spout? 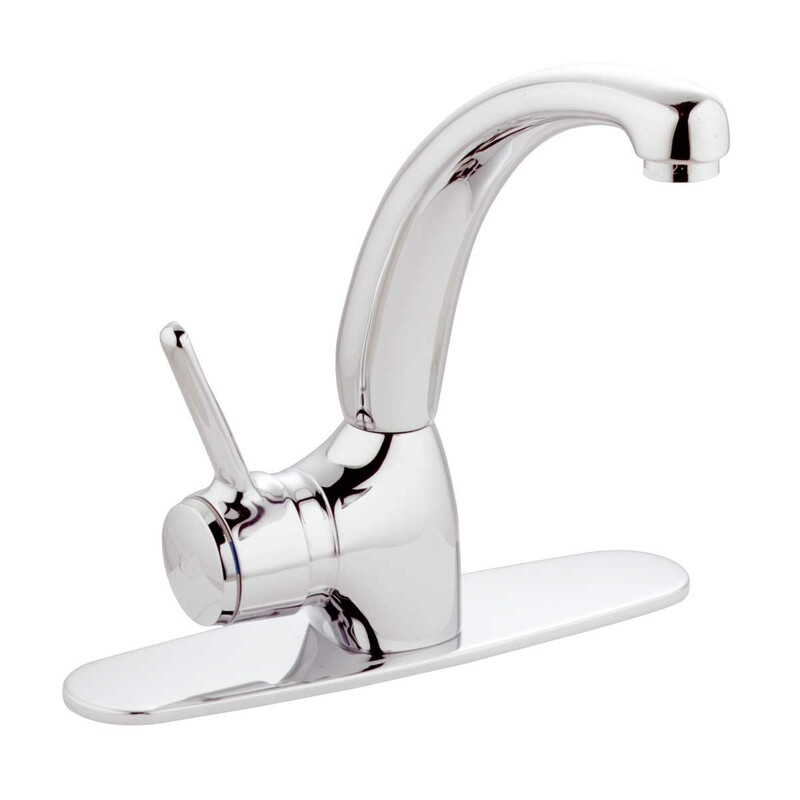 Kitchen Faucets: Crafted of cast brass and chrome-plated, this large-spout single-handle faucet is a stylish choice for your kitchen. Equipped with a reversible left or right side handle, it can be arranged as a single hole mount or as a set with 10" long by 2 1/2" wide plate included. Two 1/2" flex connectors are also included. Ceramic washerless valves; spout swivels. It measures 13" high by 7" wide with an 8" projection and a 2 3/4" long handle. Does not include pop-up drain.